Next course date is February 2020! Have you ever wished you’d known how to handle a wildlife emergency? 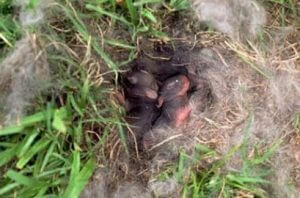 A baby rabbit caught by a cat? A hawk hit by a car on a roadside? Ducklings stranded away from their mother? 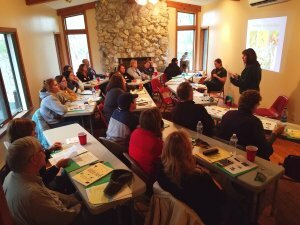 Our 2020 Wildlife First Responder class will be held Saturday, February 2020 from 9am-4:00pm. We will announce the actual date in November 2019! Tamarack’s live ambassador raptors and opossum will be available for participants to meet during the class. This course will teach you when to intervene and when not to, and how to capture, stabilize and transport injured wildlife to a rehabilitator. In addition to learning how to respond when encountering wildlife in need, past participants have gone on to become phone helpline volunteers, transporters and onsite volunteers. The course cost will include lunch. Those wishing to volunteer answering phone calls on our helpline will receive a rebate when they begin volunteering in that capacity following the course. Previous participants are welcome to attend for a refresher at no cost if there is room (cost if having lunch), but should register. Early registration is recommended. When: Saturday February 2020 9am-4pm. More details for the February 2020 WFR course will be announced in November 2019. If you have other questions, please call 814.763.2574 & leave a message- we will be in contact with you shortly.